Established in memory of the Late Prime Minister of Sri Lanka, Hon. S W R D Bandaranaike, The Bandaranaike Memorial International Conference Hall (BMICH) was built in honor of the foreign policy of Mr. Bandaranaike. The People’s Republic of China donated LKR 35 million towards the construction of BMICH as a gift to the people of Sri Lanka. Under the patronage of Madam Sirimavo Bandaranaike (the first stateswoman in the world), the construction of BMICH was initiated at 4pm on November 24th 1970. Peter Keuneman, Minister of Housing along with the Ambassador of China also graced the occasion with their presence. On 17th May 1973, the construction which involved a workforce of 2000 people, was completed and entrusted to the Sri Lankan Government. Upon completion, it become an iconic landmark in the heart of the city which comprised of a monumental Convention Centre with the best international facilities in South Asia. Stretched across a lush plantation of 40 acres, the property is tastefully decorated with water fountains and beautiful green floral gardens. The Sirimavo Bandaranaike Memorial Exhibition Centre was built in 2003 in memory of Late Sirimavo Bandaranaike, the first stateswoman in the world. This grand addition was yet another gift from the Government of China in celebration of her role. The Sirimavo Bandaranaike Memorial Exhibition Centre attracts a variety of exhibitors from around the world. The Centre can be termed as an enterprise hub where local and international vendors meet from numerous sectors such as Education, Construction, Engineering, Gems and Jewellery, Apparels, Local produce as well as Entertainment. It is a prime venue to showcase international exhibits due to the availability of classy and multi-functional facilities. This centre was amplified during the era of Hon. Chandrika Bandaranaike Kumaranatunga, the President of Sri Lanka (1994) as well as the President of the Bandaranaike Foundation. During her tenure, she had rapidly magnified the operations by developing the social, financial and artistic elements. The efforts taken by her are greatly appreciated. 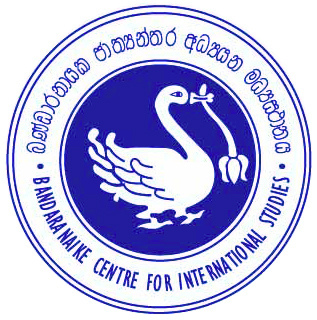 The Fifth Non-Aligned Conference, held in 1976 under the guidance of Late Prime Minister Sirimavo Bandaranaike, brought global recognition to BMICH. The conference was graced by over 85 world leaders and dignitaries including Josip Broz Tito, Indira Gandhi, Colonel Muammar Gaddafi, and Kenneth Kaunda. The SAARC Conference of World Leaders held in 1991, was yet another event which brought international acclamation to the BMICH. In 1998, the 10th SAARC Conference was held in a very resplendent manner under the leadership of President Chandrika Bandaranaike Kumaratunga. The historical celebration of Sri Lanka’s 50th Independence in 1998, was gloriously highlighted by an exhibition held at the BMICH. This phenomenal exhibition daily attracted over 150,000 people.